iDecking wins most innovative product prize for the third year in a row! Proud to announce that iDecking wins for the 3rd year in a row the prestigious INNOVATION @Domotex prize. 2017 is about to start in a rocket way for the Italian company which is taking off with great success from its start-up status! 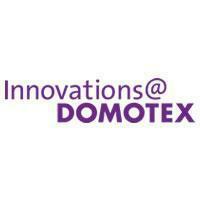 Innovation @Domotex is a prize given to the most innovative products in the world of flooring. It takes place in Hannover – Germany during the most important international trade show about floors: DOMOTEX. A jury made of experts, architects, engineers declared iDecking products the most innovative for the third year in a row!